Now, nearly a half-century later, has his dream become reality? Have we allowed freedom to truly ring? Or has that longed-for freedom somehow become even more elusive? In RUNAWAY SLAVE … Rev. C.L. Bryant journeys across America to find answers. A one-time NAACP local chapter president, Rev. Bryant discovers that by buying into the entitlement mindset of “progressives,” the black community has traded one form of tyranny for another. Using leading black conservatives as “conductors,” Rev. Bryant believes it is time for a new Underground Railroad to help liberate all Americans from the Government plantation that has left the black community dealing with a new form of slavery: entitlements. 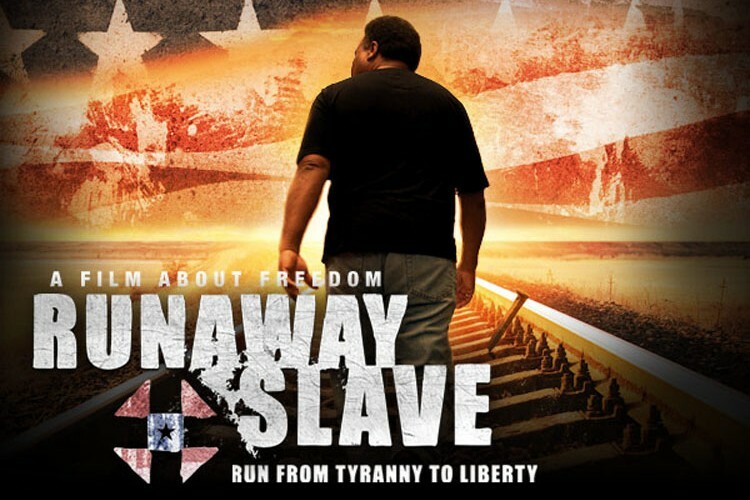 From (America’s) capital and freedom’s birthplace, to the dens of slavery and Jim Crow, to wherever a light for liberty is shining, this runaway slave looks to bring hope to the oppressed. Among the leaders he talks with along the way are Dr. King’s niece, Dr. Alveda King; former presidential candidate Herman Cain; Congressman Allen West; economist and author Dr. Thomas Sowell; talk-show host and author Glenn Beck; the late Andrew Breitbart. We also meet a new generation of young freedom fighters who are on the front lines of change! Cuts? What cuts? 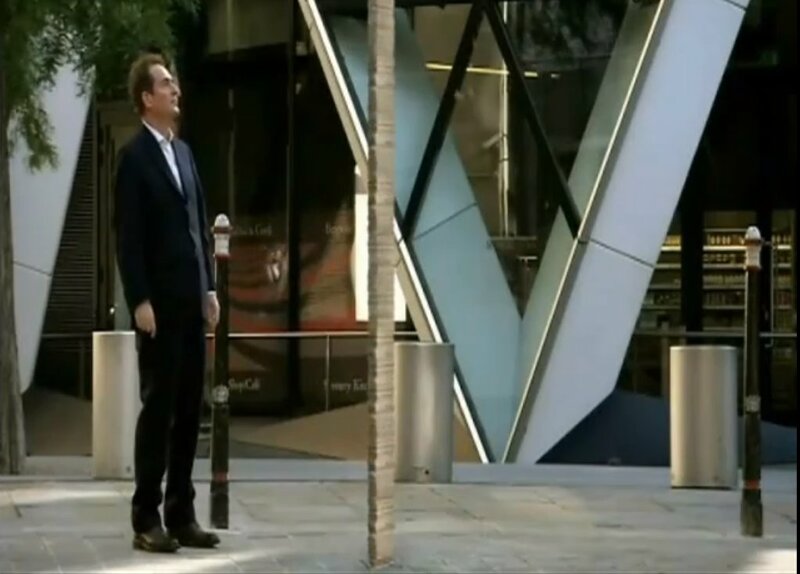 Martin Durkin’s explosive feature-length documentary on the British economy attacks George Osborne for bottling it. Osborne is just Gordon Brown with fingernails. People think he’s making savage cuts. He isn’t. Public spending, which doubled under Labour, will barely change in the next few years. Meanwhile, Britain’s debt (£4.8 trillion), and the interest on that debt, is getting bigger and bigger. And taxes, already crippling, are rising. Who’s paying for it? You are. As Durkin points out, in Britain today the public sector is bigger than the private sector. The British government spends more than all private individuals and companies put together. Yet any mention of cuts raises howls of protest. Our bloated, parasitic public sector is the biggest, smuggest, greediest special interest group in British history. Paying for Britain’s super-sized state has landed us with mind-bending debts (if you sold all the houses and flats in the UK, you still couldn’t pay it off). And for what? They spent all that money, they said, to provide us with world-class healthcare and education, to build wonderful houses for us and end poverty. Oh yes, and to stimulate the economy. Ha. This film explodes two giant myths – the Santa Claus state, and the Robin Hood state. There ain’t no Santa Claus – it’s our money they’re spending. And forget Robin Hood. There aren’t enough Andrew Lloyd Webbers to bleed. It’s ordinary folk, and the poor, who pay the lion share of taxes. And what do we get for our money? Our state monopoly health service is a national scandal, our schools barely deserve the name and you have to be a millionaire to afford a decent family home in many parts of Britain. Meanwhile the obscene profligacy of the British state has crippled the productive economy and landed our children and grandchildren with an unbelievably huge debt to repay. How much more of their money do we think it’s OK to spend? Britain today is a semi-Communist country, needlessly impoverished, unhealthy, ill-educated and poorly housed. It’s time for a revolution and that means cutting the size of the state by two thirds (to start with) and introducing low taxes. Sack most public sector workers, get rid of the NHS, privatise all schools. Durkin pulls no punches. He believes Britain can turn itself into a 21st century Tiger economy in less than a year. 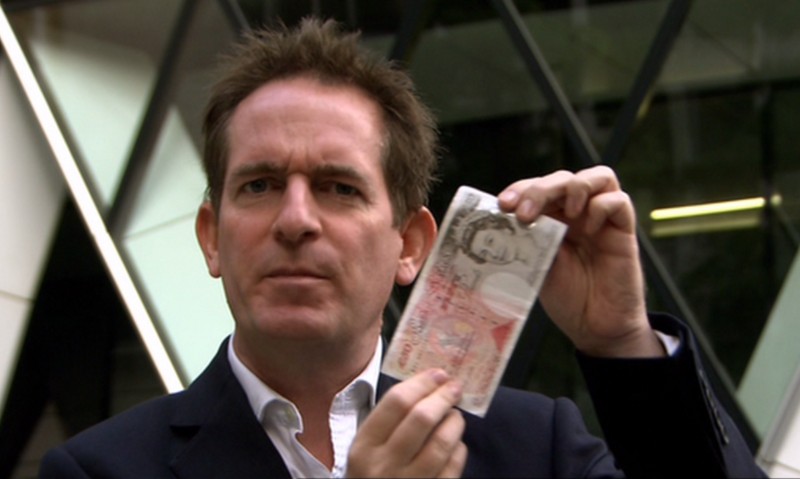 The film features interviews with four former chancellors of the exchequer, a surreal clutch of celebrities, and the biggest stack of fifty pound notes you ever did see. Rising like a phoenix from a troubled past, entrepreneurs have turned Chile’s rich Colchagua Valley into one of the world’s great economic miracles. Chilean wines now compete in the world market. Wine and ingenuity have made Don Melchor a very wealthy man. But if you think Chile is an unlikely locale for entrepreneurial success in the 21st century — consider Estonia, until recently part of the Soviet Union. Economies all over the world are feeling the impact of free markets. The world of the 21st century is a world of international markets interconnecting people everywhere — people who have never met, yet inadvertently have become integral to each other’s well being. The genie is out of the bottle. Every minute of every day products from all over the world are moving in perpetual motion. For over 30 years the United States military has operated as a 100-percent volunteer force. To be successful it must offer attractive choices. The army alone now offers some 300 distinct career paths to attract young men and women to a professional life in the military. All of these things reflect the economics of choice, the economics of individual freedom that have changed and are continuing to change the world in which we live. Still, individual freedom of choice can spark heated protest in the United States and around the world. For nearly a century one controversial American has championed the idea that only through economic freedom and the rule of law will lead inevitably to political freedom. His has been a commitment to truth — not as he has imagined it, but as he has found it in the world around him. The rise of a global economy through free markets has underscored the power of his ideas — the power of choice. 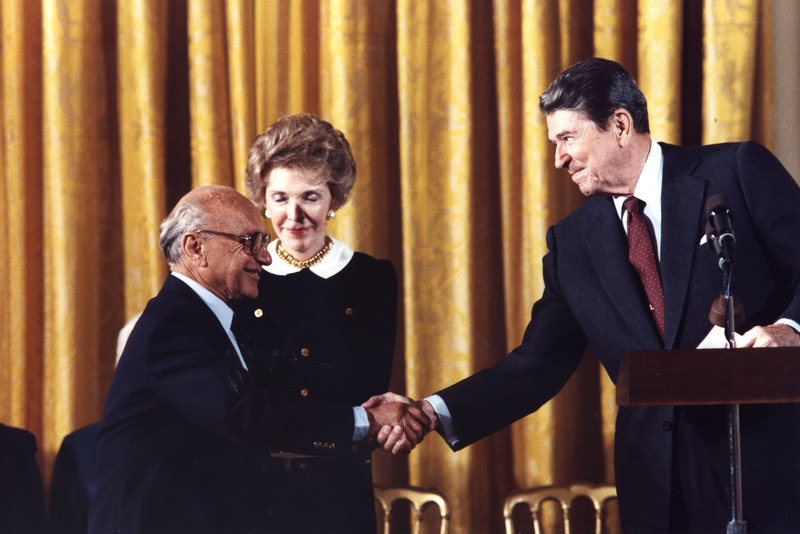 No one has been a greater proponent of individual freedom and individual choice than Milton Friedman, teacher, scientist and author, revolutionary intellectual, winner of the 1976 Nobel Prize in Economics, and citizen of the world. This is his story, including the impact of his ideas upon people the world over. Included in the program are exclusive appearances by Alan Greenspan, Paul Samuelson, Thomas Sowell, Martin Anderson, Gary Becker and Milton and Rose Friedman. To counter the decades-long pursuit of “fairness” fostered by the nation’s left-leaning educators, producers of a new film believe that the educational process should be a “no-holds-barred” affair of thoughtful exchange, not one-sided dogma that stigmatizes success and prosperity. The Young America’s Foundation has teamed up with director Stephen K. Bannon to produce a film called “The Conservatives” to combat the flagrant inculcation of class warfare, collectivism and hostility to the principles of individual liberty at America’s places of higher learning. 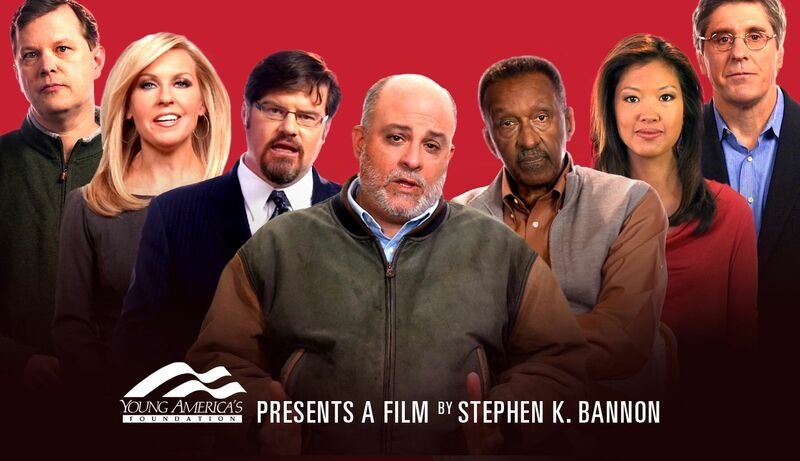 Bannon and Kate Obenshain, YAF’s vice president, will speak at The Bloggers Briefing at noon ET today to preview the film, which will debut Wednesday. They seek to inspire a new generation of conservative activists on the nation’s college campuses by making the moral case for the unexcelled benefits of free enterprise. “It is the only system that creates wealth for the most people. No other system can. No other system will,” says Levin. Free Market incentives are spectacularly changing lives and entire economies over much of the world. In the last 25 years, hundreds of millions of people– 400 million in China alone– have climbed out of the dire poverty of living on less than $1 per day. 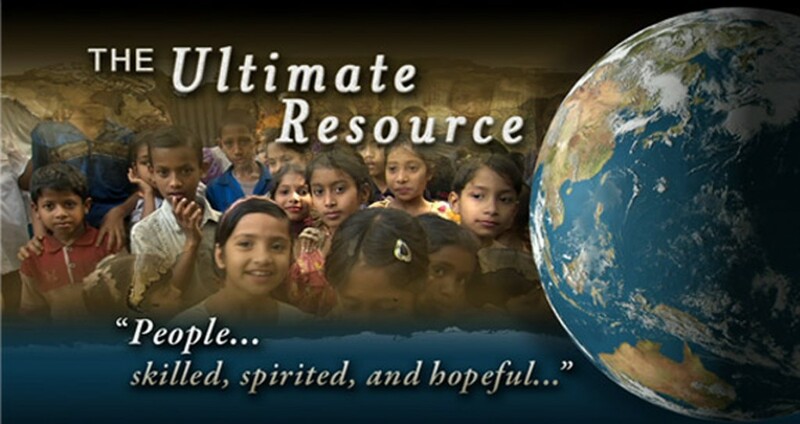 It is the largest movement out of poverty in human history. Yet, two thirds of the world’s population– four billion people– still does not have the tools to thrive in free markets. Forced to operate outside the rule of law, they have little education, no legal identity, no fungible property, no credit, no capital, and thus few ways to prosper. However, when given the incentives and the tools, these people are proving they can apply their free choice, intelligence, imagination and spirit to dramatically advance their well-being and that of their families and communities. This new and exclusive documentary looks at the “before and after” lives of individuals and families, exploring some of the surprising, innovative initiatives and trends at work in unlikely places around the world. The production also features some of today’s most inventive thinkers. Muhammad Yunus, winner of the 2006 Nobel Peace Prize, founded the Grameen Bank in Bangladesh, which uses microfinance to bring opportunity to the world’s poorest people by helping them to start their own businesses. Hernando de Soto, founder of The Institute for Liberty and Democracy in Peru, helps developing countries open their systems — creating strategies for legal reform that offer the majority of the world’s people a stake in the free market economy. James Tooley, British professor of education policy, explores the widespread, dramatic impact of low budget private education– financed not by charities or wealthy supporters– but by the poor families themselves in India, China, Nigeria, Kenya and Ghana. Johan Norberg, Swedish author and scholar, takes aim at both left-wing critics, who would condemn developing countries to poverty until they develop “First World” workplace standards, and Western governments, whose free market rhetoric is undercut by tariffs on textiles and agriculture, areas in which developing countries can actually compete. From small villages in sub-Saharan Africa to the bustling cities of the Asian sub-continent, from Latin America to China and Eastern Europe, people everywhere are striving to improve their lives. People seeking the same things– opportunity to learn; an identity and ownership that allows them to prosper; a chance to earn a living for themselves and their families; to use their imaginations; and to take risks and possibly fail. They want to develop their options and reap the rewards, if they succeed. This is the story of what can happen when ordinary people have the tools to help themselves. Somewhere on Earth, at this very minute, a child is beginning its journey through life. Two hundred and fifty babies are born every minute, 15-thousand an hour, 132 million a year – each and every year. Among them may be the potential to cure disease, or to change the course of world history, because people are the world’s ultimate resource. In a small fishing village in Ghana, a child is being celebrated. A welcoming ceremony– “Kpodziemo” or “Outdooring”– is held only after the mother believes her child will survive. This age-old ceremony is about the dreams of all parents for all children. Joshua Korley has been fishing his entire life. His most prized possession– his outboard motor. He nets about 50-dollars a week, when the fishing is good. But schools of fish are not the only schools on Joshua’s mind. His daughter, 12-year-old Victoria, has a dream– to become a doctor. Public schools in Ghana are free, but overcrowded. There are 73 students in a class. Joshua wants something better for Victoria. High in the Andes Mountains of Peru lay the ruins of Machu Picchu, the historic royal retreat of the Inca Empire. The indigenous people still farm this valley. Eusebio Mendez Atau and his family own four bulls, two pigs and a few chickens. They farm the land as did Eusebio’s father and grandfather for the last 100 years. Most days Eusebio hauls his primitive plow up the mountain for another days work. Still, he is unable to hold legal title to the land on which his livelihood depends. Eusebio’s only asset is the land. But without legal title, he cannot get a loan to buy more seed or more land. Without legal title, he cannot borrow to educate his children or improve his home. Nor could his father or grandfather. Carved from the Asian sub-Continent after a bloody civil war with Pakistan, the small nation of Bangladesh is the most densely populated on earth. When Bangladesh won independence in 1971, more than 70 percent of its people lived on less than one dollar a day. Hunger and famine haunted almost every village and every family. It was into this world that Minara Begum and Dinislam Hussain were born. When they were only 13, Minara and Dinislam were married in an arranged ceremony. Dinislam had grown up in a village of weavers and had learned the trade. He worked hard for others, but he could never get ahead. Dinislam and Minara could barely feed their first child. The small country of Estonia has been dominated by its neighbors and denied freedom for most of its long history. However, since independence from the Soviet Union in 1991, sweeping, yet difficult, economic reforms have transformed Estonia. In an older neighborhood on the outskirts of the capital is the story of Indrek Laul and the Estonia Piano Company– a story of amazing, complex change. In the bleak times under Communist rule, the company built pianos exclusively for the state. There was no competition, no incentive. The instruments were sturdy, but hardly world-class. Shortly after independence, Indrek Laul and his workers realized that companies around the world were making much better pianos then they were. Production in Estonia dropped from 500 pianos a year to a low of only 49. Shanghai, is a dramatic symbol of the fastest growing major economy in world history. Hundreds of thousands of people work in skyscrapers, some among the tallest in the world. Privately owned designer boutiques line the city’s streets. 34-year-old Shi Hai is the private owner of Snail Game, one of China’s first Internet gaming companies. He believes his stock will be listed on the NASDAQ Exchange within a few years. It would seem that Communist China is using free trade to reinvent itself, but not entirely. Shi Hai and his employees are navigating the delicate path between China’s cultural traditions and their bold, new ideas. Around the world there are enormous and complicated challenges ahead. But extraordinary change can happen when ordinary people have the tools and the freedom to make their own decisions. A 3 hour documentary series produced by (Grace Creek Productions) & BJW, Inc.
Much of the history of the past 200 years revolved around a single idea. It was the vision that life could be lived in peace and brotherhood if only property were shared by all and distributed equally, eliminating the source of greed, envy, poverty and strife. This idea was called “socialism” and it was man’s most ambitious attempt to supplant religion with a doctrine grounded on science rather than revelation. It became the most popular political idea in history. 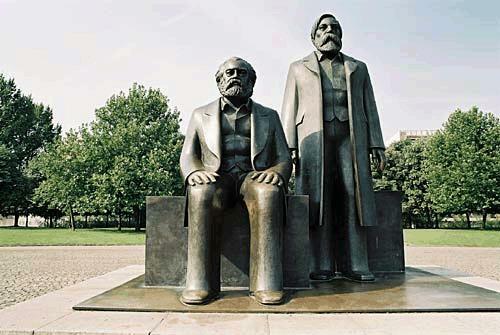 Statue of Marx and Engels. A part of the Marx-Engels-Forum in Berlin-Mitte. Its provenance was European, but it spread to China and Africa, India and Latin America and even to that most tradition-bound of regions, the Middle East. While it never fully took root in America, its influence shaped the nation’s political debate. At its crest in the 1970s, roughly 60 percent of the earth’s population lived under governments that espoused socialism in one form or another. Then, suddenly, it all collapsed. Because its goal proved so elusive, the socialist movement split and split again into diverse, sometimes murderously contradictory forms. There was Social Democracy, which insisted that only peaceful and democratic means could produce a harmonious commonwealth. There was Communism, which extolled the resolute use of force and dictatorship to propel mankind to a new way of life. There was Arab Socialism, African Socialism, and other Third World variants that sought to amalgamate western Social Democracy and eastern Communism. There was even fascism, which turned the socialist idea on its head by substituting the brotherhood of nation and race for the brotherhood of class. And there were those – from early American settlers, to the “flower children” of the 1960s, to Israeli Zionist kibbutzniks – who built their own socialist communities, hoping to transform the world by the force of example. As an idea that changed the way people thought, socialism’s success was spectacular. As a critique of capitalism that helped spawn modern social safety nets and welfare states, its success was appreciable. As a model for the development of post-colonial states, the socialist model proved disappointing, fostering economic stagnation among millions of the world’s poorest people. And in its most violent forms, socialism was calamitous, claiming scores of millions of lives and helping to make the twentieth century the bloodiest ever. Through profiles of the individuals that brought socialism to life, HEAVEN ON EARTH tells the story of how an idea arose, evolved, changed the world, and eventually fell. 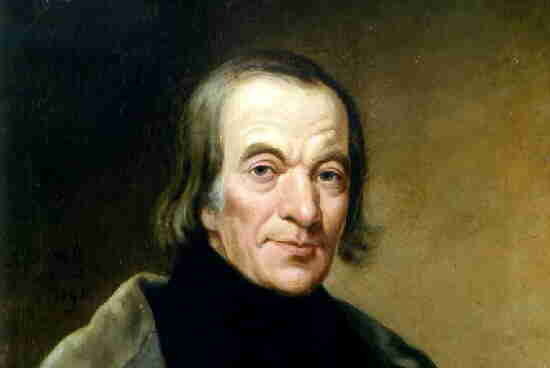 In 1825 a progressive British industrialist travels to America to create a utopian community. Owen believes that abolishing private property will liberate mankind. Two young Germans forge a friendship that gives birth to the Communist Manifesto. Their analysis of history as a struggle between classes and their prophecy of the inevitable overthrow of capitalism define the movement. At the end of the 19th century, the intellectual heir of Marxism tries to reconcile the prediction of labor’s revolt with the reality of improved working conditions. The movement splits, Communism and Social Democracy part ways. 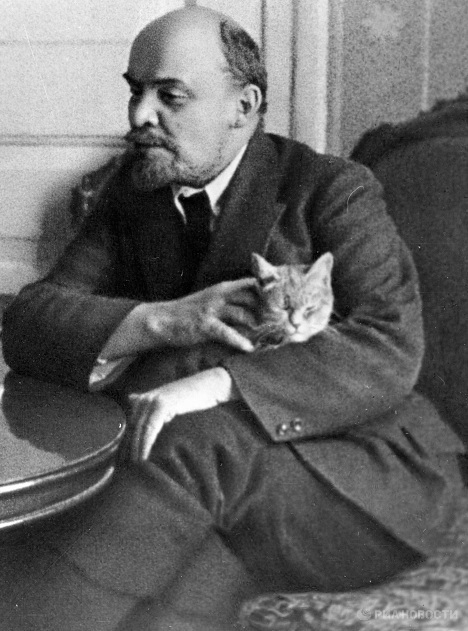 Vladimir Lenin responds to Bernstein’s critique by igniting a violent revolution and creating the Union of Soviet Socialist Republics. While Europe faces revolution, American workers are organized by a former cigar-maker. Gompers rejects socialism and helps give birth to the American Federation of Labor. American farmers’ organizations head north, leading to the creation of the Cooperative Commonwealth Federation, the C.C.F. 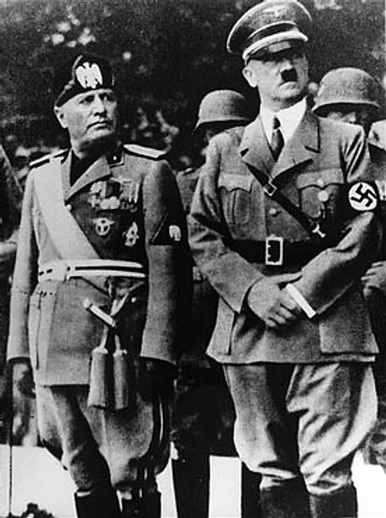 Inspired by Lenin’s Russian revolution, Italy’s Benito Mussolini embraces socialism and joins forces with Adolf Hitler to create National Socialism, or fascism. Following World War II, Mao Zedong reforms China through nationalized industry, collectivized agriculture and complete state control over every aspect of daily life. In Britain, a different kind of socialism takes hold after the Second World War, democratic socialism. Attlee’s Labour Party creates a comprehensive social welfare system and nationalizes major British industries. The Zionist movement in Israel creates collective socialist villages called kibbutzim. Residents of Kibbutz Ginosar describe the early years of this communal experiment. With the end of British colonial rule, Julius “Mwalimu” Nyerere turns to socialism to reshape Tanzania. He blends the teachings of Marx with African traditions to create what is heralded as the developing world’s alternative to Soviet-style communism. Economic stagnation challenges the Labour Party’s hold on British politics and opens the door for Margaret Thatcher’s conservative government. As the second generation comes of age on the kibbutz, these socialist communities gradually move away from collectivism. Impatient with the lack of socialist progress, Nyerere begins to force Tanzanian’s to adopt his vision of the ideal collective society. Mikhail Gorbachev confronts the violent past of Stalinism, but his efforts to bring a new openness to Soviet life have unintended consequences. In the 1980s, Deng de-collectivizes the communes that formed the soul of the Chinese Communist revolution. His reforms look suspiciously like capitalism. 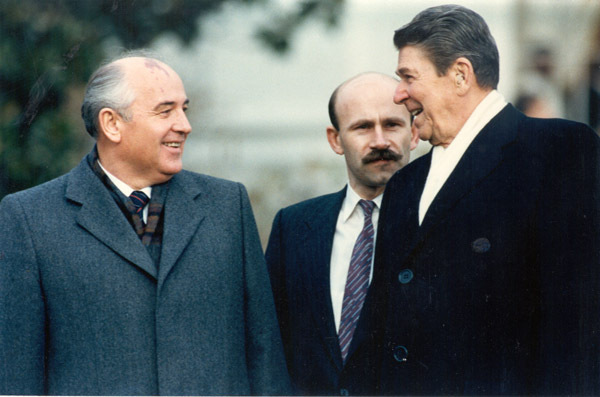 Gorbachev’s efforts to reform socialism in the Soviet Union unleash forces that unravel the State’s control and lead to a complete transformation of the Communist world. Socialists and capitalists debate the impact of the collapse of communism and the political reversals of Social Democratic parties across Europe. 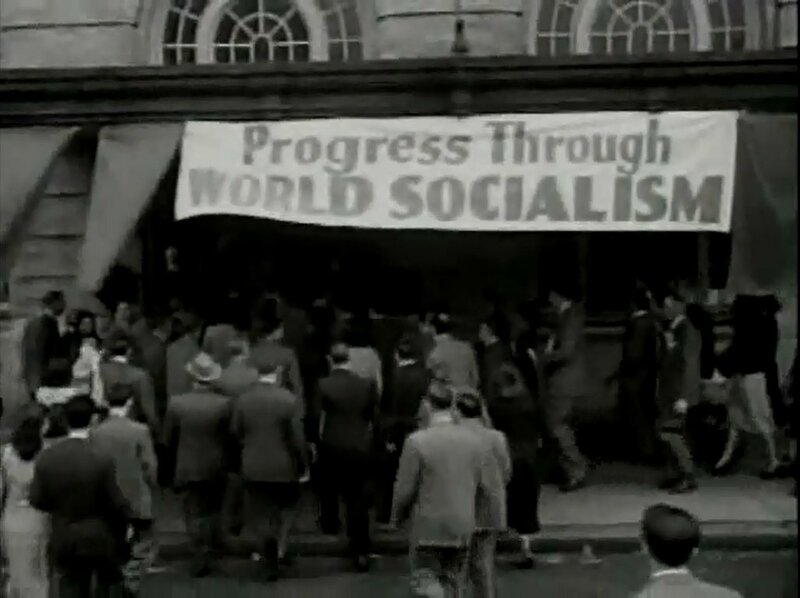 Some ask whether the very definition of socialism is changing. Residents of Kibbutz Ginosar observe how market forces are transforming their community.